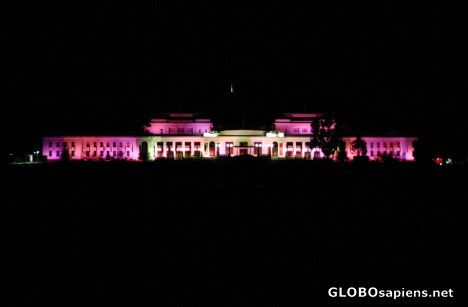 Parliment House Canberra at night. Spectacular shot! Thanks for sharing it! The colors stand out and are very bright.